The Clarksville Networking Group, (CNG) is a group of business professionals that meet the 1st & 3rd Tuesdays of every month to conduct a official meeting in which we discuss ways to improve your business, the latest trends in business, work on our marketing and presentation skills and build business relationships that lead to referrals. Our networking group is a great way to spread the word about your business. Since November of 2003 Clarksville Networking Group has been a part of the business scene in Clarksville TN. The Clarksville Networking Group uses the idea of building business through Qualified Referrals. 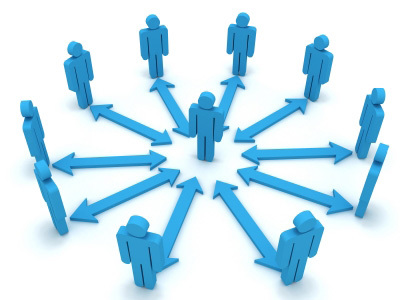 Qualified referrals come from one-on-one collaboration with others in your network. The members who give the referrals are the ones who have taken the time necessary to build a solid relationship with people they know they can count on; the referral giver knows they are putting their own reputation on the line when they say, “You can trust (insert your company______), they are someone I’ve done business with (or highly recommend).” The best referrals often come from people referring you to others in their network. They like you and trust you and feel comfortable that you will follow-up immediately. Another aspect of the Clarksville Networking Group is “The open Rolodex”. Imagine yourself walking into someone’s office and looking through their entire Rolodex. This is what you get when you become a member of CNG. The open Rolodex is the same concept behind LinkedIn.com, Facebook.com and other Social Networking Sites. You get to see “who knows who”. We have an EXCLUSIVE membership policy, and each member is the only representative of their respected profession. When you are a member of this group NO OTHER member competes with you. Learn more. Download our brochure here.